We are your one-stop solution for all things tree maintenance. We offer a professional local team of qualified and experienced arborists. We can take care of tree lopping, stump grinding, tree removal, tree pruning, and mulching. We are a perfect solution or taking care of trees that are causing damage or mess to your property. Our full range of tree services are conducted by fully qualified and insured professionals with the highest level of customer service and value for money that we can deliver. 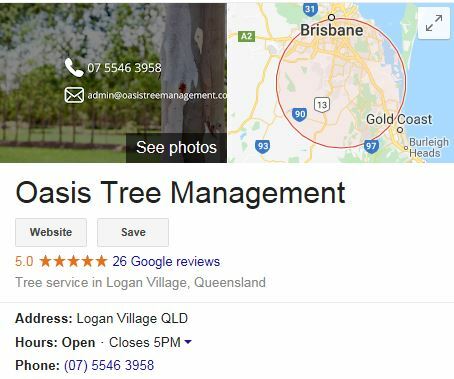 Let us help you maintain your property, manage grounds, tidy up your property, take care of diseased or dying trees, and trees that are causing damage to property or are dangerous or a nuisance. If you need tree removal you need to make sure it isn’t protected under council legislation. We can help you with the process of getting approval and/or provide you with an Arborist report, if necessary. For landscape suppliers and nurseries, we can provide mulch at whole cost for you to on sell. Tree stumps can not only be annoying and unattractive, they can be dangerous too. Too close to your home, stumps can attract unwanted pests such as white ants and termites looking for a nest to breed. Some tree stumps can even generate new tree growth which can also then cause problems. With our stump grinding service, we use special machinery to grind back the stump to around 5cm below ground level which means you can easily mow over the area and there’s no tripping hazard. Your garden will be free for you to landscape or enjoy as you wish. All we need to give you a free quote over the phone is the approximate diameter of the stump and what (if) any objects are surrounding it – shed, concrete, path, retaining wall, other trees etc. and of course your location in Sunnybank. Unfortunately, gardens don’t stay looking great by themselves. Any gardener will tell you how much work goes into keeping a well maintained and beautiful garden. One simple and effective way to give your garden a facelift is to apply mulch. We sell mulch to the public as well as to nurseries and garden maintenance businesses. Mulch is a great way to restrict weed and germination growth, keep much needed nutrients in the soil, and help stop garden beds from drying out.